Take a tour to the beautiful Mercury. Named after the Roman god of commerce, travel and thievery, Mercury is the closest planet to the Sun and the eighth largest. It can only be seen in morning or evening twilight so the Greeks gave it two names, Apollo for when it appeared as a morning star and Hermes when it came as an evening star. Launch this screensaver and be impressed by the high realistic colorful space scenes. 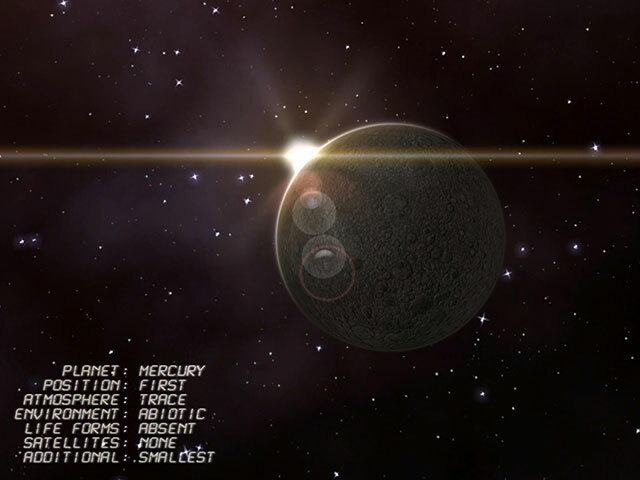 Relax, watching the spectacular Mercury planet views accompanied by mysterious ambient sounds.